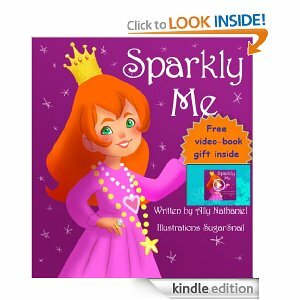 I received a kindle version of "Sparkly Me" by Ally Nathaniel and illustrated by Sugar Snail. in exchange for an honest review. All opinions expressed are my own and I was no paid for this review. This adorable story is perfect for those girly girls you may have at home! I love the girl in the story and her love for sparkly things. My daughter is 5 and she enjoyed this book. I think most girls between 3-7 would also enjoy the message in the book. Make sure to check out the author, Ally, Website.